We are a non-profit (501c 3) organization, donations to Shabahang are tax deductible. Join us in our next event! We have a friendly gathering on the first Friday of every month to express love to our people and culture. 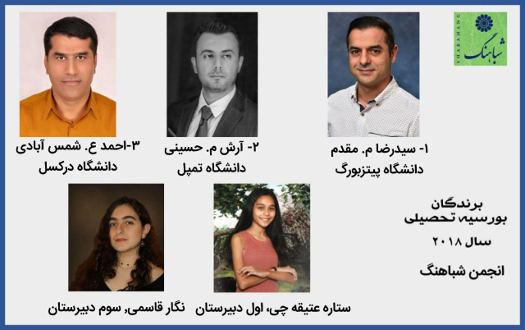 We will be more than happy to see you in the meeting and you will definitely enjoy Persian poem, lectures, and Iranian music plus delicious Noon-Panir-Chaei. 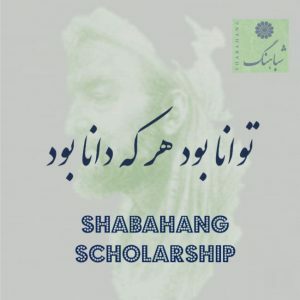 Shabahang is offering 3 Scholarship Funds to 3 full time students – Apply here by April 30! 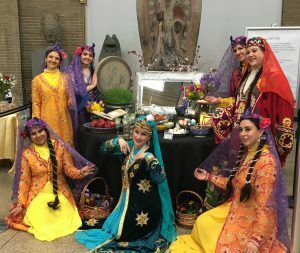 In addition to our regular Monthly meetings, we have several events during each year such as our Talent Show event and Nowrouz Event to express love to our people and culture. Please become a member to both enjoy a discount for your family and support us. Upcoming: Scholarship- Application Deadline extended to April 30!